Wasting time trying to clean spills with ineffective, not-for-purpose products? Check out our range of poly absorbents to find a solution better suited to you. What kind of mess do you have? An essential cleaner that is durable, easy to use, and straightforward, but eminently capable of handling most forms of oil and hazardous spills. A selection of products for use on smaller spills of more aggressive fluids and solvents. 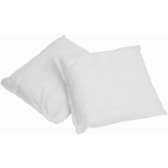 Essential products that are durable, easy to use, and straightforward, but ensure an oil-free environment. An extremely cost-effective option that makes for easy disposal. 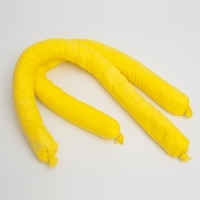 A useful product for absorbing and containing oil-based spills. Able to be left in a location to absorb and contain continuous leaks and spills, the Absorbent Sock is user-friendly and highly absorbent. 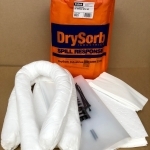 A larger absorbent to use for bigger, oil-based spills on hard surfaces — especially in grounds & building maintenance, warehousing, and manufacturing. Ideal for spills and continuous leaks where you need a more heavy-duty solution. An essential multipurpose cleaner that is durable, easy to use, and straightforward, but eminently capable of handling most forms of spill. A useful product for absorbing and containing both oil-based and water-based liquid spills. Able to be left in a location to absorb and contain continuous leaks and spills, the Absorbent Sock is user-friendly and highly absorbent. 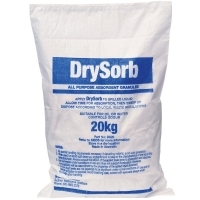 A larger absorbent to use for bigger, water-based spills on hard surfaces — especially in grounds & building maintenance, warehousing, and manufacturing. Ideal for spills and continuous leaks where you need a more heavy-duty solution. An essential cleaner that is durable, easy to use, and straightforward, but eminently capable of handling most forms of hazardous chemical spills. A useful product for hazchem liquid spills. 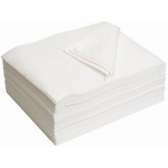 Able to be left in a location to absorb and contain continuous leaks and spills, the Hazchem Absorbent Sock is user-friendly and highly absorbent. 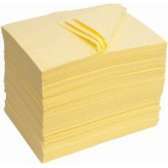 A larger absorbent to use for bigger, spills on hard surfaces — especially in grounds & building maintenance, warehousing, and manufacturing. Ideal for spills and continuous leaks where you need a more heavy-duty solution. Do you have a high risk of spills? Decontaminate soil with our dual purpose fuel absorbent and bioremediation agent. Naturally-occurring bacteria are used to break down a contaminant until it is no longer harmful.